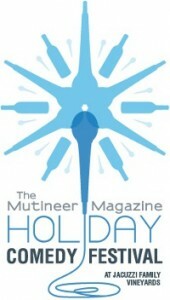 Those loco wit’ the cake kids at Mutineer Magazine (Twitter) have rounded up some holiday misfits and done it again: set the stage for yet another massive blowout of fine beverage festivities! Ever resourceful in the comedy department (witness Editor & Loco Alan Kropf’s (Twitter) brilliant 2010 American Wine Blog Awards presentation (sort of) alongside compat Ben Morrison (Twitter)) The Mutinous crew has assembled an A-List of comedians to entertain your mind as your palates and gullets are treated to a regular bevy of fine beverages. The tasty drinks provided in quantities surely above any 2 drink minimum, will be courtesy of Don Roberto Tequila and Jacuzzi Family Vineyards (Twitter, WineLog), the awesome location for this event. I had the pleasure of visiting Jacuzzi and tasting their well-made Italian varietals back in 2008 on the Pops & Son 4th Wine Trip. Good stuff and a beautiful Carneros AVA estate. The lineup of guests include Jonathan Goldsmith, Natasha Leggero, Bryan Callen, Ben Morrison (of course), Daryl Wright, Greg Wilson and Ben Gleib. You can also feel pleased at the end of your laughing, libidinous night, as proceeds from this event benefit A Child’s Right (Twitter), a leading global water relief organization. Mutineer Magazine has been a great supporter of this organization, publishing a regular column by Executive Director Eric Stowe, covering his travels and work to provide potable water to urban children around the world. I will be in attendance as an Official Blogger courtesy of the magazine (says so in the right column of my blog, ev-en, check out my Mutineer article, too). So be there, wear blue and laugh until you’re, well, blue. Cheers and full deets below! Thanks for posting about our event and helping raise awareness for a child’s right. 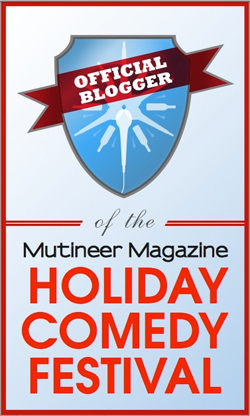 Hi.. Its great to hear that the Mutineer Magazine Comedy Festival is started. I love to participate in this festival and It brings lots of happiness and time to meet more people and also it is the time of harvesting the vine crops. I like your post and I appreciate you for your effort. Thanks so much, I hope to see you there! Thanks kids, I’m looking forward to seeing you all this Saturday, woot! Thanks for posting about our event and helping raise awareness for A Child’s Right, we look forward to seeing you there!